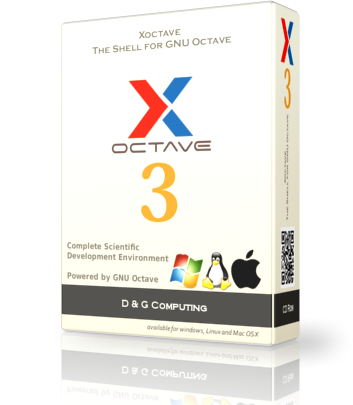 Xoctave is powerful software that is meant to unleash the power of GNU Octave by creating a complete scientific computing environment designed especially for Matlab users who seek an affordable alternative to Matlab. As an alternative to Matlab, Xoctave provides a complete technical computing environment. Several features are available such as script editing, variable listing and viewing, debugging, and many more. Xoctave is multilingual and customizable using plugins available for Windows, Linux and Mac OSX. Xoctave Software Support Service provides comprehensive 1 year support for Xoctave and plugins. This service provides electronic access to related product and support information including software upgrades and updates, ensuring access to new features and product enhancements. Version 3.5 is now available for Windows, Linux and Mac OSX. Please visit Customer area to download. If you would like to try it before you buy, 30-day demo versions are available for Windows, Linux and Mac OSX. Please visit Demo page to get it instantly. Xoctave 3.5 is now free for instructors who are willing to use it for their classes or non-profit scientific projects. Please visit academics page to learn more. Curios about Xoctave? Check the interface screenshots below, or watch videos. Are you an Xoctave customer? Please log in to download, and update Xoctave and plugins.